Hebburn Town moved up to second place with an emphatic victory over Whickham at the Energy Check Sports Ground today. Luke Sullivan put the hosts in front early in the first half, before Max Cowburn equalised just over ten minutes later. Goals from Jack Robson (2), Robbie Spence and Lewis Suddick in the second half separated the two sides and gave the Hornets a big win. Top scorer Michael Richardson missed the game through injury but his absence didn’t appear to affect the performance. Hebburn were in front within 20 minutes when Graeme Armstrong squared the ball to Sullivan who back-heeled it past the keeper from close range. The Hornets nearly doubled their lead ten minutes later when Andrew Stephenson had a close range effort saved by John Mordey. In the 33rd minute, Whickham equalised when Matty Pattison played a good ball forward to Cowburn who smashed the ball into the top-left corner on the edge of the box. The hosts had two chances to regain their lead shortly before the break. Armstrong headed just over from a corner in the 41st minute and then Dan Groves’ close range effort was saved by the legs of Mordey two minutes later. 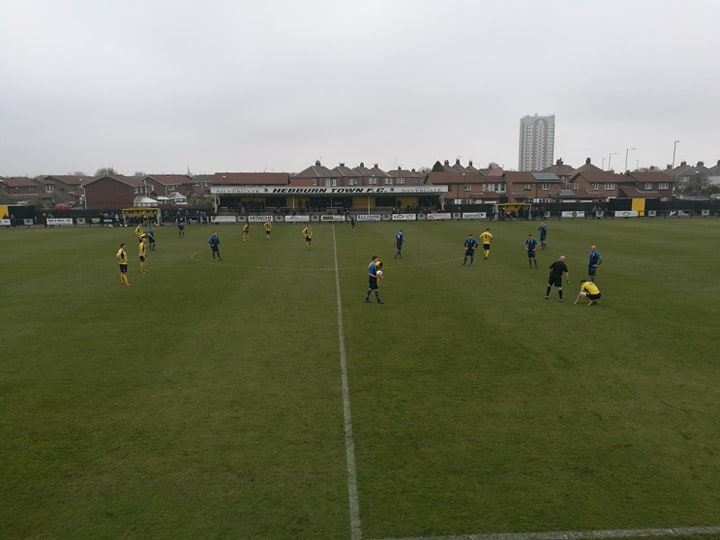 Hebburn regained the lead in the 58th minute when Louis Storey played through Robson whose shot on the edge of the box was dead and buried into the bottom-right corner. Five minutes later, Stephenson had a long range effort just kept out by Mordey and then in the 65th minute Scott Oliver’s side doubled their lead through Robson. Storey made a great run down the right and played it to the winger who slid the ball past the keeper in the bottom-right corner. In the 87th minute, Whickham had their only chance of the half when Dale Burrell’s long range effort was pushed onto the post by Andrew Jennison. Hebburn grabbed a fourth moments later when Spence headed home from the six yard box on the end of a great cross by Stephenson. The winner came one minute later when substitute Jason Blackburn spotted the run of Suddick and the winger beat the keeper with one touch one-on-one. Up next for the Hornets is Consett at home next Saturday. Hebburn Town: Jennison, Groves, Gilhespy, Donaghy, Shaw, Robson (Suddick 78), Storey, Spence, Stephenson, Sullivan (Dibb-Fuller 67), Armstrong (Blackburn 81). Whickham: Mordey, Callaghan, Grieve, Little (Hedley 73), Kay, Orrell, Burrell, Scroggins, Cowburn, Pattison, Stevens.